What is your first association of the Netherlands? Is it Amsterdam? Tulips? Windmills? Many who come to visit this country nowadays almost exclusively organize their holiday around the capital and it’s a shame! Sure, no tour through the Netherlands is complete without taking a break in Amsterdam, but the country has so many other sites to offer. If you’re in your twenties and can’t wait to unleash your free spirit, than yes, you should definitely stick to this city. You may find it more liberal than you ever imagined. But if you hope to learn something more about culture, history, everyday life… you won’t be able to make proper judgment without checking out the other parts of the country. The Netherlands is very dense. Take care not to get lost in that crowd. But it is also a predominately flat country, with majority of land below sea level, so its founding fathers wisely worked on its structure and left a valuable network of roads that easily connect all the parts of the country. Taking that in consideration, there is no reason not to explore it from your car, right? Well, maybe there is one reason: the fact that you didn’t come by car. But that problem can be solved in a moment. Just choose the model you always wanted to drive but couldn’t afford and let the renting service do the rest. If you’re not sure which car would be most appropriate for touring the Netherlands, we could lend you a helping hand. For instance, if you’re planning to visit the north and stop at Groningen, you should know that this is a relatively small city, but very lively and exuberant thanks to its sizeable university population. It’s the right place to be if you’re a lover of museums, live entertainment in city cafes, music, and theatre. But don’t get us wrong, it is also one of the most urban and modern cities of the country, so you wouldn’t get any strange looks if you show up there in, say, Aston Martin Vanquish Volante. This car is the open-top version of the Vanquish coupe and the stiffest item of the kind Aston Martin ever produced. Also, it is the company’s most expensive model, and not without reason: when you see its specifications, you’ll be sure it’s worth every penny. Lets go through other models in our luxury car rental Netherlands features. The soft-top did not make the car lose much weight (compared to its predecessor), but the use of carbon-fibre brought about some new sinuous curves and evident side strakes that improve aerodynamic stability. Its six-speed gearbox can definitely be beaten by some rivals, but let’s face the truth: you would only be able to play with high speeds on the highway; for Groningen, six speeds are more than enough. You should focus more on comfort and luxury when driving around the northern Netherlands and the interior of the Vanquish Volante, with its refined centre console made of glass switches and touch-sensitive panels, will make you forget about all its possible deficiencies. 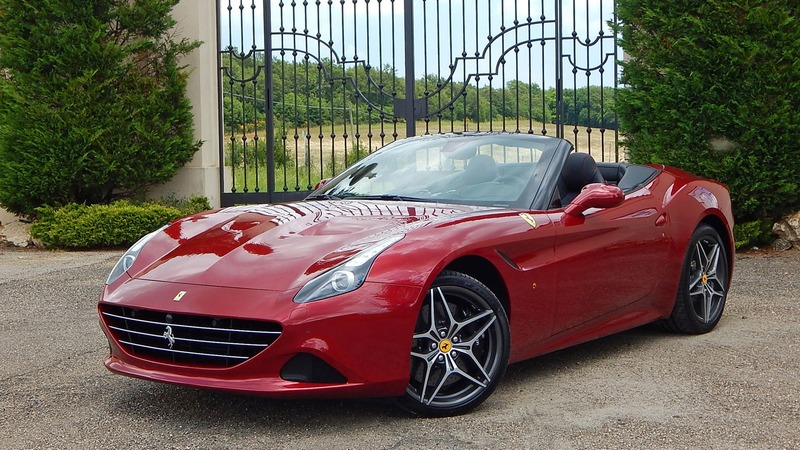 Sure, you’ll hear some noise when the roof is up (Which convertible doesn’t produce noise? ), but when you put it down, your cabin will be peaceful and quiet again. If you ever drove a cabriolet, you know what we’re talking about. On the other hand, some people are simply not fans of convertibles. If you’re one of them, but still in quest for the appropriate vehicle for the luxury car rental Netherlands experience, check out Mercedes S500 Coupe. This model would fit in ideally with, say, the notable monuments and historic districts (including the home of the royal Dutch family) of the Hague. Curiously enough, this city is also the seat of the government of the Netherlands and therefore, it exudes some solemnity and classic restraint, just like the already mentioned Mercedes’ model. S500 Coupe offers even portions of luxury, cosiness, modernity, and impressive performance. And if velocity is, indeed, important to you, you’d be glad to hear this one has one speed more than our Aston Martin pick. It also suppresses wind noise and if you’re curious about other advantages it offers, then go ahead, try them out on your own! By the way, Mercedes also has a great car if you’re traveling in a group and want to check out some not so urban destinations, such as tulip-growing districts, old windmills, or the Delta Project (one of the Seven Wonders of the Modern World). Choose Mercedes GL63 AMG for similar road trips and let us know if you enjoyed the powerful engine of this 7 seater SUV. Don’t you think it’s slightly retro? Let us know what your experience was like when you were using our sports and luxury car rental Netherlands services.